Amazon is offering a deal in which you can purchase 4k Blu-ray discs for as low as $16.66 each. The discounted price takes effect when you add three select titles to your cart, at which time the total amount will be reduced to $49.99. Most of their stocked 4k Blu-ray movies qualify for the promotion including titles such as The Dark Knight, Hidden Figures and Hacksaw Ridge. They’ve even got seven Harry Potter films listed, so fans can maximize this deal by grabbing three of the last four franchise titles for $50, or six for $100. $16.66 per UHD Blu-ray is considerably less than what most 4k titles usually sell for, as most 4k movie discs are priced between $19.99 and $24.99, although some 4k Blu-rays are much higher. If you go for this deal stay away from titles that are already cheap enough such as John Wick ($15.99) and The Revenant ($14.96). The “4k Value” promotion expires at 11:59 p.m. (PT) April 30, 2018. 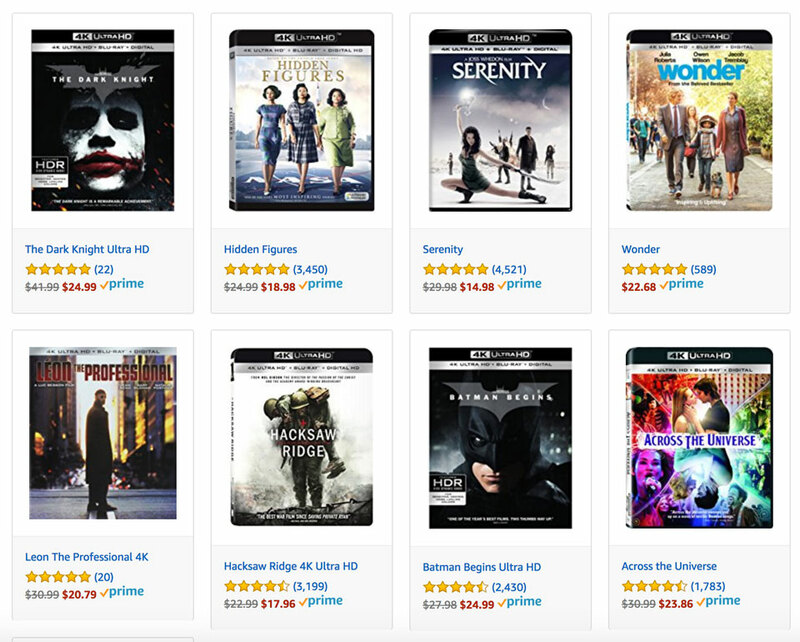 Jump over to Amazon to check out what 4k Blu-rays are in stock.